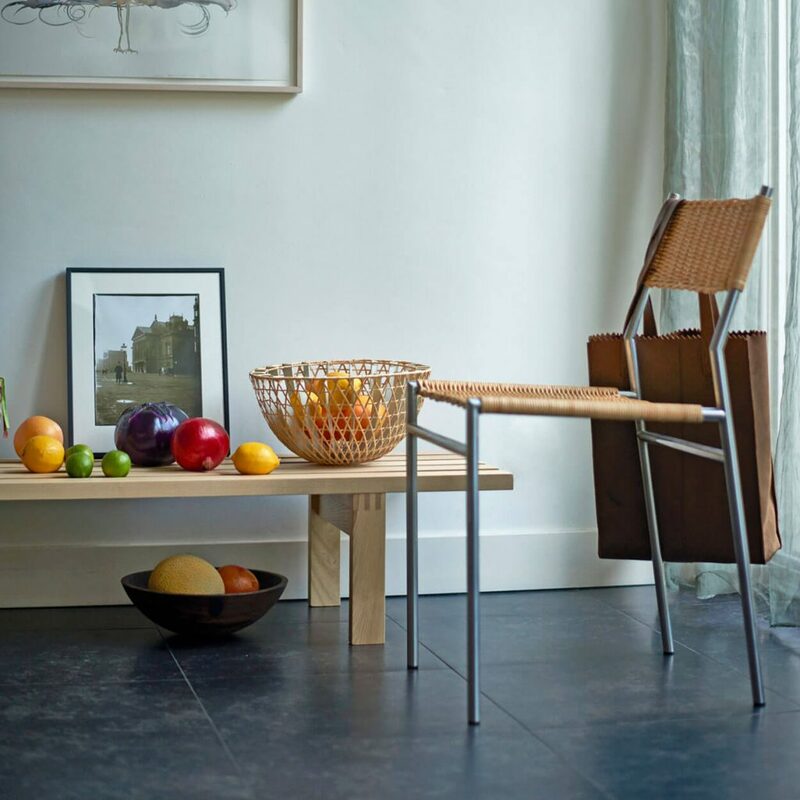 In 1960 Martin Visser designed an armchair and a chair with a rattan seat and back. Just like his colleagues Marcel Breuer and Poul Kjærholm, Visser designed this furniture in three versions: in fabric, in harness leather, and in rattan. Rattan is made from the solid core of rattan stems that are peeled to the desired thickness. The result is a bundle of highly flexible strands, natural in colour, which are then braided into the frame. Up to 320 metres of pit cane will go into one armchair! The weaving is carried out by hand by specialised professionals. Pit cane exposed to light discolours over time, bringing the rattan work increasingly to life.